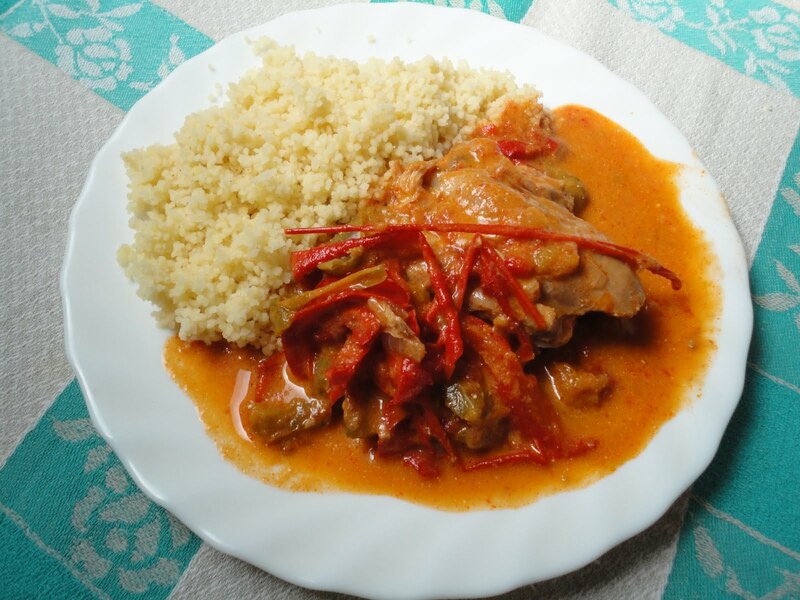 Our recipe of the day is for a delicious and simple Portuguese style Chicken & Peppers stir fry called Frango com Pimentos. As with most of our recipes, this dish is very simple & easy to make without all the fuss, yet is totally tasty and full of flavor. This is a very popular and traditional Portuguese dish that is enjoyed with hearty and healthy ingredients. Combining any recipe with peppers is one of the best ways to craft a Portuguese style dish with bursting flavor. We are sure you will love this dish as it is very easy to make and healthy and delicious to eat, so try it out and tell us what you think! 1) Break the whole chicken up into smaller pieces. 2) Melt the butter and lard in a saucepan on medium heat and begin placing the chicken into the pan to cook. 3) Place the sliced onion, chopped garlic, chopped tomatoes, and sliced peppers into the pan to cook. 4) Then add the salt and hot sauce to taste. 6) Once it is cooked and the chicken has browned a bit, it is done, place in a dish to serve along with the cooked rice. 7) Pour the sauce from the pan onto the rice, serve and enjoy!